I caught the 2016 Flor de Pingus days before it was due for bottling, so what I tasted was the final blend (done after the time in barrel was over) that was just settling in tank before being bottled. The paradox of 2016 is that it was a warm year, but the resulting wines have great freshness, which also happened in 1996 (one of my favorite old vintages of Pingus). The yields were higher, which brought more freshness to the wines; and the wines are airier and not as compact as, for example, 2015. In fact, what they have been doing for some time now is to work in viticulture—the pruning and what you do with the canopy—to achieve slightly higher yields and get the plants to balance, because as you increase the yields, the ripening takes longer. Even though it's young, this shows amazing perfume that should bloom with a year in bottle. 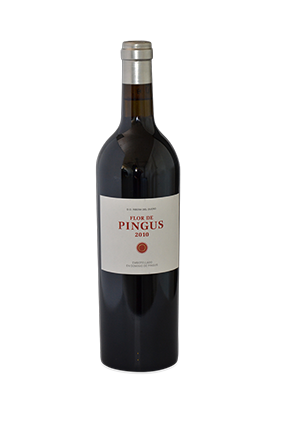 This has all the signals to become one of the greatest vintages of Flor de Pingus. They expect to fill some 105,000 bottles in June 2018. I already look forward to tasting this in my next round, after it has spent a year or more in bottle.